If you're running the numbers for the 2013 Volkswagen Golf TDI versus other gasoline small-car models, don't forget to include both the higher sticker price as well as the higher cost of diesel fuel in many regions of the country. The 2013 Volkswagen Golf masterfully balances frisky performance, fuel-efficiency, and refinement in its GTI and even TDI editions, but as such it's priced as a premium model. Volkswagen's Golf hatchback--along with its sporty GTI and high-performance Golf R variants--has a look and style that remains unmistakable among hatchbacks. And while it might have in many respects been a trendsetter over the long haul, the market for small, sporty hatchbacks is finally hitting the mainstream, with the Ford Focus, Mazda3, and Subaru Impreza hatchbacks, along with the Kia Forte and Hyundai Elantra GT, appealing to more than a narrow niche. Yet the 2013 Golf stands out as a different kind of car than those other models. On one hand, it has more of a premium small car look and feel, and that's a good thing. But the down side is that while the Jetta and Passat sedans were developed to be stronger values for America--meaning more space, lower price point--the Golf's true European pedigree keeps it one of the priciest models in the class. Compared to other hatchbacks, the 2013 Volkswagen Golf is still charming to drive, with a premium feel inside, excellent handling, and a firm but comfortable and quiet ride. If you spring for the base-model Golf, which starts at less than $19k, you should be aware that the base 170-hp five-cylinder engine is perky, but not all that refined or fuel-efficient. The best model in the standard Golf lineup is the TDI, with its excellent and very torquey clean-diesel turbo four-cylinder engine, available DSG dual-clutch transmission, and an EPA highway rating of 42 mpg, but that it's essentially priced as a premium vehicle, with a sticker price that starts more than $6,000 higher than the base gasoline Golf. The sporty GTI actually starts at a lower price than the TDI, and it's a blast to drive in its own right, as it includes all sorts of upgrades, in addition to VW's flexible and smooth 200-hp, 2.0-liter TSI gasoline four. Across all of these models, you'll find responsive electric power steering and a taut, not jarring, ride. Diesel models (and GTIs, of course) have even a bit more sport tuned into their suspensions. Braking is strong on the Golf, and in all, it's dynamically a cut or two above the Korean competition when it comes to road fluency. True enthusiasts are going to go for the new Golf R, which adds a higher-output version of the engine making 256 hp and 243 pound-feet, and brings it to the pavement with a version of VW's 4Motion all-wheel drive system, a performance Haldex clutch pack, and many other performance improvements including stronger brakes, a lower, stiffer suspension, and dual exhaust outlets. And perhaps as a reminder that this is a low-volume performance model, it's only offered with a manual gearbox. No matter which one you choose, you get an interior that offers the same amount of space and usability--and nearly the same amount of comfort and refinement. The Golf, even in its base form, includes good front seats and has a pervasive feel of quality throughout the cabin. 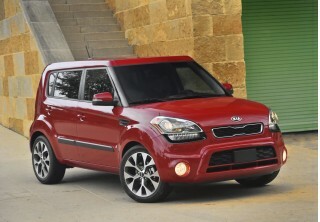 But compared to other small-car models, it lacks backseat space--especially in three-door models. Overall, refinement and ride are excellent across the model line for both Golf and GTI models. Only with the Golf R do you get a ride that's somewhat harsher--as well as a little more engine noise. The Golf itself might not impress as quite as plush for the dollar as some of the newest Korean cars, but it has all the features and modern conveniences to distance itself from any econo-car roots. TDI versions add an LCD interface for the audio system; satellite radio and a CD changer; steering-wheel audio controls; and Bluetooth.On the GTI, there are a few more standard features like heated side mirrors, a sport steering wheel, 18-inch 'Detroit' alloy wheels, and a series of other appearance upgrades inside and out. A sunroof and touch-screen navigation are offered, but the Golf doesn't include Bluetooth at the base level and even at the upper end of the model line it's missing the active-safety options that have become available on some models, even in this class. The 2013 Volkswagen Golf and GTI are conservative but finely detailed--and at times they feel more sophisticated than their pricetag suggests. Fundamentally, the designs of the VW Golf (and for a few years, the Rabbit) and GTI haven't changed much in three decades. The Golf has grown a bit broader over time, and better balanced, but it's a clear, careful evolution of a familiar look. There are a number of designs from the U.S. and Korea that are edgier or more adventuresome, that's a call for change. But from another angle, the Golf has such a nicely proportioned, well-honed design that's the epitome of stylish (albeit conservative) functionality. And while it clearly leaves the drama and sheetmetal creases to the Ford Focus and Hyundai Elantra, the Golf has a collection of appealing details, including a small spoiler at the back, where the hatch hinges to the body. The cabin looks at once stereotypically German in its tight construction and sober look, yet it's also better detailed than in the past, with better control interfaces--keeping big, round gauges in front of the driver and in perfect view. Volkswagen hasn't cheapened the interior trims and textures as it has for the Jetta sedan, leaving the Golf with the richer look, even though they're both in the same price range. And in the GTI, plaid seat upholstery carries on a GTI interior-style tradition. The Golf R does look a bit different, with special aluminum kickplates and a flat-bottom leather-trimmed steering wheel, plus special 'R' logo deep-bolstered leather sport seats, aluminum pedals, and additional touches like blue gauge pointers. From the outside, xenon headlamps and LED daytime running lamps (with adaptive front lighting) are standard, and the Golf R is probably best singled out by the 'R' logo on the grille and the centrally located dual exhaust outlets in back. The 2013 GTI and Golf R of course bring the most thrills, but if you value efficiency with your performance the TDI is the smartest pick. . The 2013 Golf range--especially if you consider the TDI diesel, the sporty GTI, and the high-performance Golf R--covers a wide span of performance. 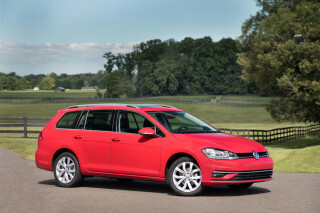 In each case, the Golf performs remarkably well, and to different expectations. If your expectations fall into the realm of green performance, you can't do much better than the Golf TDI. Its 2.0-liter turbocharged four-cylinder diesel engine is rated at just 140 horsepower, but it's the 236 pound-feet of torque that it churns out that makes this engine a gem. All said, it's very slightly slower than its gasoline counterpart (about 8.6 seconds to 60 mph), but its mammoth low-rev torque output always makes it feel stronger and more eager. 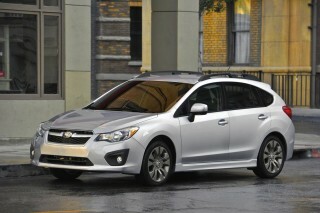 For that it's good both for urban driving and on the highway, where EPA ratings range up to 42 mpg. The TDI comes with either a six-speed manual, which is on the notchy side, or the a six-speed dual-clutch automatic (DSG) with paddle shifters. We tend to prefer the latter option, as it's so well-suited to the diesel's powerband and is one of the best transmissions of its kind for performance. Base models come with a five-cylinder gas engine that's adequate but far from thrilling or particularly efficient or refined. It makes 170 horsepower and 177 pound-feet of torque, though it's unexciting and flat in response to the throttle. We tend to prefer the six-speed automatic transmission (not the DSG here, but a regular automatic) over the vague five-speed manual in base cars)--and in five-door Golf models the automatic is the only transmission anyhow. The GTI offers a much sweeter gasoline powertrain--the familiar 200-horsepower, 2.0-liter turbocharged TSI engine that's used elsewhere in the VW (and Audi) lineup--and here it's paired with either a six-speed manual or six-speed DSG. GTI models drive much better from an enthusiast perspective, because of upgraded brakes and suspension, s well as a Cross Differential System (XDS). That's for those who want a sportier drive; but true enthusiasts--and admittedly those with deeper pockets--are going to go for the new Golf R, which adds a higher-output version of the engine making 256 hp and 243 pound-feet, and brings it to the pavement with a version of VW's 4Motion all-wheel drive system, a performance Haldex clutch pack, and many other performance improvements including stronger brakes, a lower, stiffer suspension, and dual exhaust outlets. And perhaps as a reminder that this is a low-volume performance model, it's only offered with a manual gearbox. As you might guess, handling varies quite a bit between the base Golf and the Golf R. But no matter which model you choose, the Golf is nimble, balanced, and confident, with well-sorted electric power steering that has good weighting and feedback. Ride quality, even in GTI and Golf R models is taut but not jarring, and braking is strong. The Golf R is surprisingly stoic and composed for a tuner special, although at the same time it has a throaty exhaust note, sharper and quicker steering, plus a little more harshness as a tradeoff for the heightened responsiveness. The Golf and GTI models have a tight rear seat, but they feel solid and well-built. No matter which 2013 Golf or GTI you choose, you end up with an interior that offers the same amount of space and usability--and nearly the same amount of comfort and refinement. The Golf, even in its base form, includes good front seats and has a pervasive feel of quality throughout the cabin. 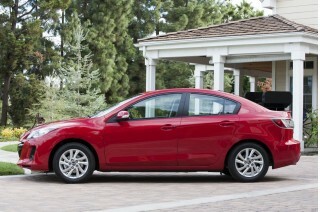 But compared to other small-car models, it lacks backseat space--especially in three-door models. Considering the Golf's boxy look, it's a bit surprising that it's not more spacious inside, in terms of back-seat and cargo space. 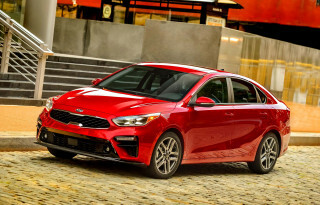 Three-door models feel especially tight in that entry to the back is difficult, but in both models there's limited legroom--not nearly as much as in other compacts like the Kia Forte or Ford Focus, to the point that some adults will have trouble fitting. On the other hand, headroom is quite good, and the rear seats do have adjustable headrests and an armrest. Rear seats also fold down nearly flat to expand cargo space. In front, it's a different story. The 2013 Golf and GTI have some of the best accommodations for the driver and passenger, of any affordable small-car models, with supportive, adjustable front seats (although the seat adjustments can be a bit hard to reach). The seats themselves are shaped well for most body types and sizes, and they're firm for comfort over long-distance drivers. Volkswagen puts high-quality materials in the Golf's cabin. Visibility is good, too, but the base of the windshield is rather high, the result of European pedestrian collision standards. Overall, refinement and ride are excellent across the model line for both Golf and GTI models. Only with the Golf R do you get a ride that's somewhat harsher--as well as a little more engine noise. 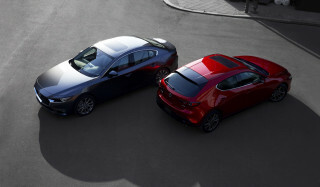 The 2013 VW Golf and GTI are among the safer small-car picks. The Volkswagen Golf family earns excellent safety ratings, and that combined with its strong safety equipment place it among the top small-car picks for occupant protection--especially if you choose one of the five-door models. Standard features across both the Golf and GTI lineups include six airbags, anti-lock brakes, stability and traction control, and brake assist. On the five-door models, rear side airbags are an option--although the Golf lacks options for either parking sensors or a rearview camera, both features that are beginning to become available even in small-car models. The federal government hasn't at all tested the Golf or GTI in its New Car Assessment Program (NCAP)--and it no longer has enough in common with the Jetta sedan to be able to draw those results in for the Golf. The Insurance Institute for Highway Safety (IIHS) has given the Golf and GTI top 'good' ratings in all test categories, as well as its Top Safety Pick accolade. But it should be noted that those results apply only to five-door models, leaving the three-door models without much information to go on. VW has upped its game, and the 2013 Golf and GTI models come with a lot of features for the money. Compact cars, over the past several years, have changed radically, especially if you go by their feature lists. And the Golf and GTI lineups are no exception. The Golf itself might not impress as quite as plush for the dollar as some of the newest Korean cars, but it has all the features and modern conveniences to distance itself from any econo-car roots. Standard equipment on all Golf hatchbacks now includes cruise control; power locks, mirrors and windows; air conditioning; and a CD player and an auxiliary port. Most models also get eight-way-adjustable front seats. TDI versions add an LCD interface for the audio system; satellite radio and a CD changer; steering-wheel audio controls; and Bluetooth. On the GTI, there are a few more standard features like heated side mirrors, a sport steering wheel, 18-inch 'Detroit' alloy wheels, and a series of other appearance upgrades inside and out. But there are a few disappointments; the base model still doesn't include Bluetooth phone connectivity isn't included, but it's included in TDI and GTI models, as well as part of the Convenience Package, paired with leather steering-wheel and shift-knob trim and heated front seats. A sunroof is available in addition to that, and TDI or GTI versions can upgrade to a premium touch-screen sound system, or a navigation system that includes DVD playback, an SD card slot, and USB connectivity. In addition to standard equipment on the $34,760 Golf R (two-door) includes dual-zone climate control, Bluetooth, iPod compatibility, and a Premium VIII audio system with eight speakers. Step up to the sunroof and navigation package ($36,860 for the four-door) and you get a sunroof, touch-screen nav system, keyless entry, push-button start, and 300-watt Dynaudio system. The TDI diesel's a mileage champ, while base five-cylinder models are near the back of the pack of small hatchbacks. 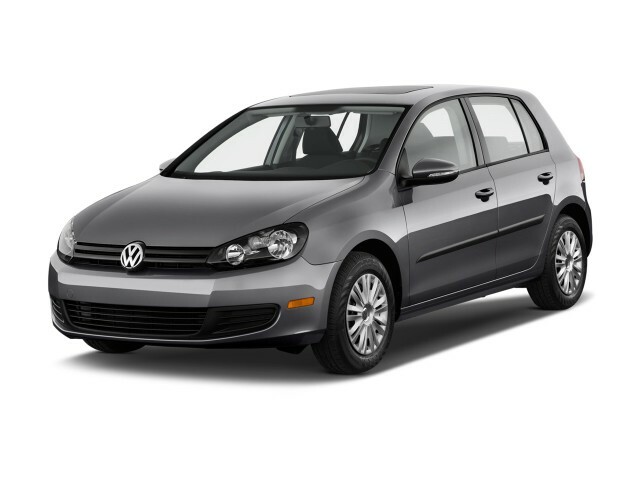 The 2013 Volkswagen Golf TDI is a green car, with its hybrid-like fuel economy. But the base five-cylinder Golf is below-average in this class, and the GTI does sacrifice a bit of efficiency in the name of peppy performance. EPA ratings for the Golf TDI ring in at 30/42 mpg, whether you choose the six-speed manual gearbox or DSG automatic. Likewise, the GTI earns mileage that's respectable, at up to 24 mpg city, 33 highway--especially considering its performance. That said, the base five-cylinder engine is far from a fuel-economy star. It does 33 mpg on the highway at best, at a time when many compacts get numbers in the upper 30s on the highway and some reach 40 mpg. With all-wheel drive and a higher-performance engine, the Golf R is thirstier than the rest, at an EPA 19/27 mpg. My daily sports-car with practicality built-in. This is my 4th VW. While it's obvious I"m a VW fan, I do my due diligence and also review and test drive other makes and models before any buying decision. Interior like Audi with great attention to details... This is my 4th VW. While it's obvious I"m a VW fan, I do my due diligence and also review and test drive other makes and models before any buying decision. Radio is so-so and although it's a smallish car I'd appreciate a backup camera. I think the newer versions took care of these minor items too. Best car I have owned so far. Economical and fun to drive. 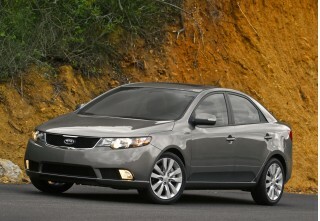 Corners like it is on rails and economical to drive with over 45mpg hwy and upper 30s mpg city. Very practical hatchback arrangement with folding seats. Front seats are very... Economical and fun to drive. I was looking to replace an aged Subaru WRX. I looked at the WRX and found the interior had hardly been updated since my 2002 model - pass. I looked at the Mini's, but the Clubman was not available - pass... I was looking to replace an aged Subaru WRX. I looked at the WRX and found the interior had hardly been updated since my 2002 model - pass. I looked at the Mini's, but the Clubman was not available - pass. Looked at the VW GTI, really liked what I saw. Looked for an Audi A3, not available at the time. Looked at the Volvo C30 - pass. I went back to the GTI drove it again, and decided that was the one for me. The interior is far superior to the Subaru, as good as the Audi's and Volvo. Not as kitchy as the Mini's. After driving the GTI for a 2nd time, I knew for sure it was the DSG automatic for me. I've now had the car for just over 2 years and about 37k miles. I'm really happy with my choice. 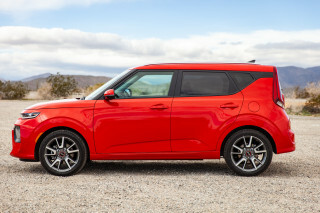 The interior is well appointed, comfortable, and has all the amenities I want - Bluetooth connectivity, good sounding stereo, heated seats, plenty of cargo space with the rear seats folded down, and PLENTY of fun when you press the loud pedal. The turbo spoils up nicely and the chasis is well balanced and handling crisp and sharp. The driving dynamics are, as I said, crisp and sharp. The balance of amazing given it's a FWD car. I've tried and tried, and I can't get the inside wheel to lift in hard sharp corners. Impressive. The shifts in SPORT mode are spot on, they are fast, and always seem to be the right gear for the moment. When using the flappy paddles, you can keep the rev's up for quick acceleration and downshift without too much thought of engine rev's. The brakes are as good as the engine and chasis. When you hit the grippers, they haul you down with authority. I've not had the opportunity for any track days yet (I'm way behind, as all my other cars were at the track after 5K-10K on the odometer). The entire package is just well balanced and pleasant to drive. It's comfortable on long drives, huge fun in the twisty bits, and nice and civilized for taking wifey out for dinner. Mileage is fair at an average of about 30-32mpg with mixed city and highway. Best car for the money. Great acceleration, ride, and handling while achieving low 30's mpg on the highway. I would easily get 30 mpg going 45 miles over an 8000+ ft mountain pass each way, and that's with... Best car for the money. 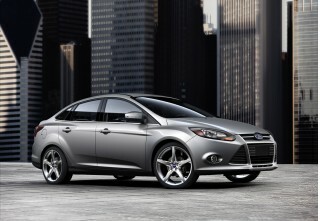 Great acceleration, ride, and handling while achieving low 30's mpg on the highway. I would easily get 30 mpg going 45 miles over an 8000+ ft mountain pass each way, and that's with passing slower cars in limited passing zones. While not laden with power seats or auto climate control, I miss none of those. I have the base GTI with DSG and have everything I need. Standard heated seats and auto up/down on all windows as well as heated mirrors are wonderful. I've had two warranty repairs: ignition barrel replaced for a failed lockout sensor and replaced the shifter knob due to a loose piece of plastic. Dealership service has been great for both maintenance and warranty repairs.